A osprey takes flight Monday from its new nesting platform at Strawberry Fields in Poulsbo. 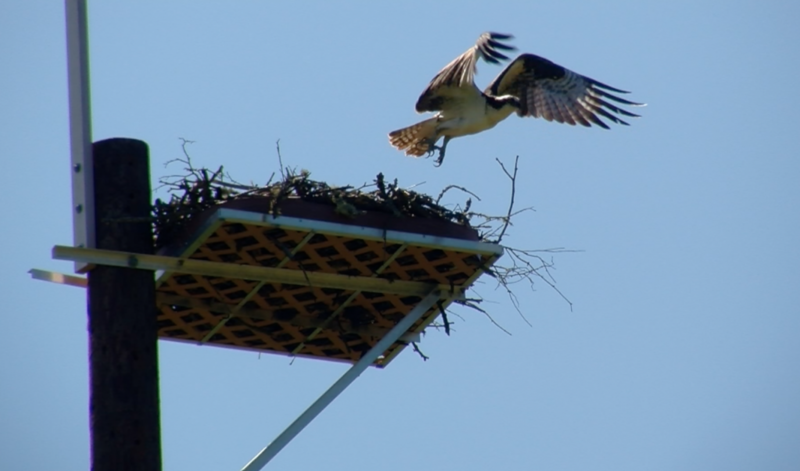 A pair of osprey have returned to Strawberry Fields where a new nesting platform was waiting for them. The birds had built a nest on one of the lights a few years ago and it was removed for safety reasons after they left this past winter. You can read about the platform construction and installation in a previous Kitsap Sun article.